For the base I used two coats of "Stylenomics" by Essie and on the accent nail I applied two coats of "Getting Groovy" by Essie. The candy canes are made using a hole puncher from Action. I used "Life Of The Party" by Essie for the red and the white is "Blanc" by Essie. Start by applying one coat of clear polish or top coat on a sheet protector, then apply two coats of the red polish and wait a little for it to dry. Using a striper brush draw some diagonal lines with the white. They don't all have to be perfect or the same size, so don't worry if you mess one up. Let it dry, it doesn't have to be completely dry, and then apply a top coat again. To avoid any smooshing of the red or white, follow the diagonal lines while adding the top coat. Now you do have to let it dry completely before taking the polish sheet of the sheet protector. 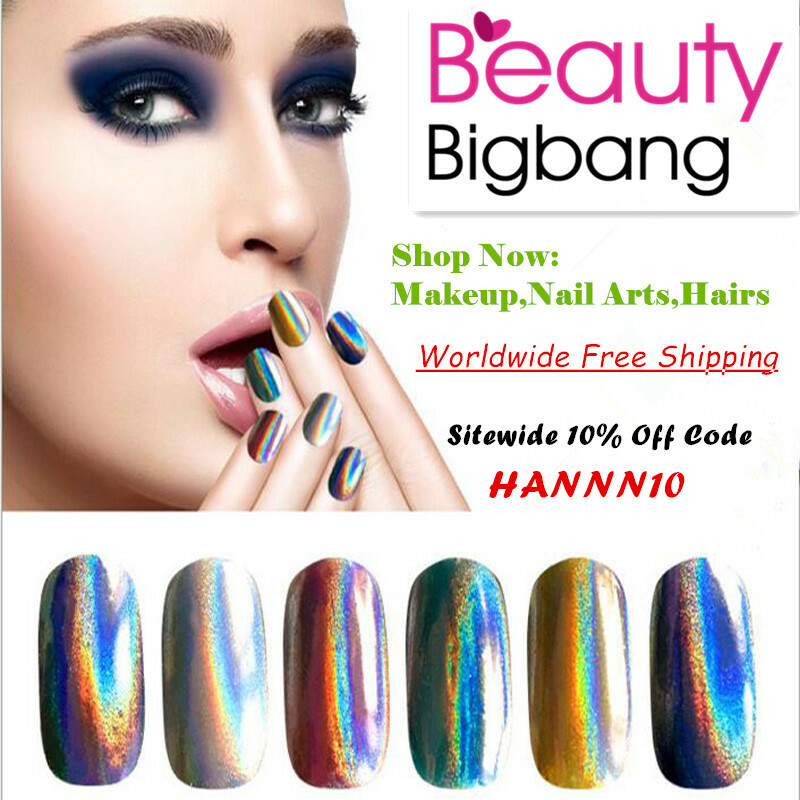 I find the easiest way to do this is using the flat side of a rosewood nail stick and gently pushing along the side until you get under the nail polish. Then use the hole puncher to punch out the candy canes.Around half way through turn the polish sheet around and punch some more. You'll need one of both sides to make the heart. 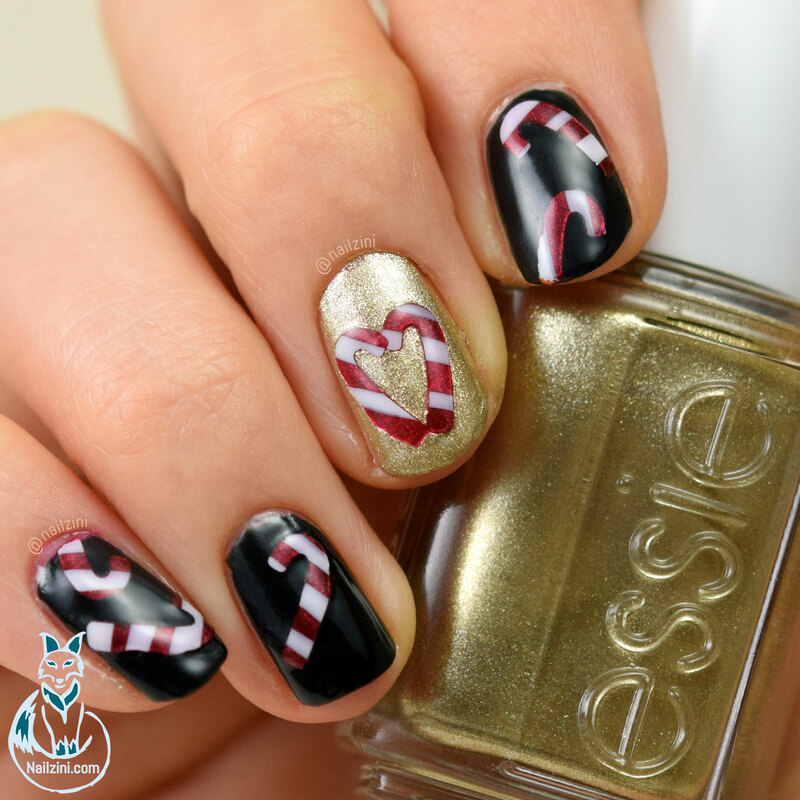 To stick them on your nails use a non fast-drying topcoat and while it's still wet place the candy cane on your nails. Apply a top coat, and that's it!